The John S. Glas Fieldhouse- otherwise known as "The Glas"- is located on the Bemidji State University campus and lies at the corner of Bemidji Avenue and 19th Street North in Bemidji Minnesota. The Fieldhouse is a 2,399 bleacher style seat arena that is the home ice to the Bemidji State University Beavers (Men's CHA) team and (Women's WCHA) ice hockey teams. The John Glas Arena is part of a larger fieldhouse which contains the BSU Gymnasium and other athletic facilities called the BSU Physical Education complex. In addition to its role as BSU’s home facility for both men’s and women’s ice hockey, the Glas Fieldhouse also plays a prominent role in a variety of events for the BSU and Bemidji communities. High school contests and area youth figure skating shows occur while the ice is in place, while when the ice is removed the building plays host to events varying from the annual Jaycees Home, Sport and Travel Show to BSU’s commencement ceremonies. In the 35 seasons since being dedicated, BSU has developed one of the most-secure home-ice advantages in college hockey. Simply put, BSU has dominated on its home ice. 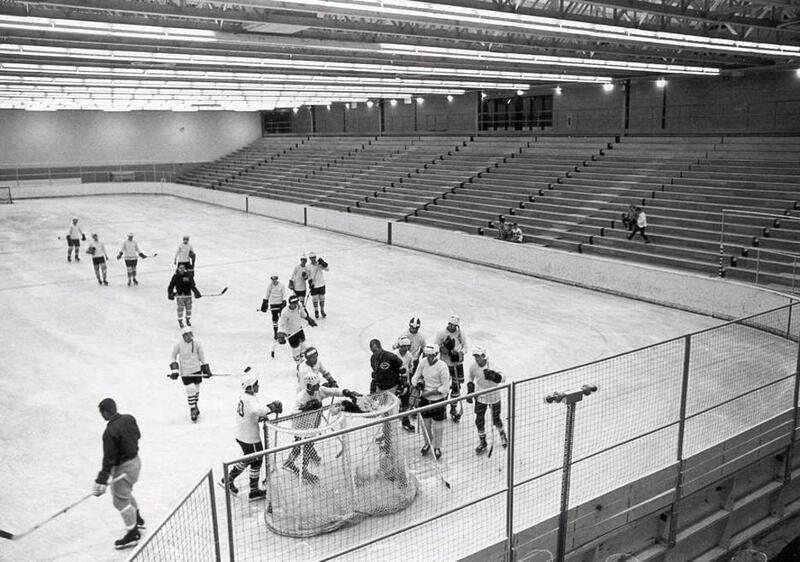 The Beavers have posted a lopsided winning record in over 550 games played at John Glas Fieldhouse, and have had a losing home-ice record just once during the life of the arena. Eleven times in its history BSU has assembled unbeaten streaks of 10 or more games in the building, while averaging nearly six goals per game. In total, BSU has out-scored its opposition by more than 1,600 goals. Only adding to Bemidji State’s stellar winning tradition at John Glas Fieldhouse are the five National Championships BSU has won on its home ice. 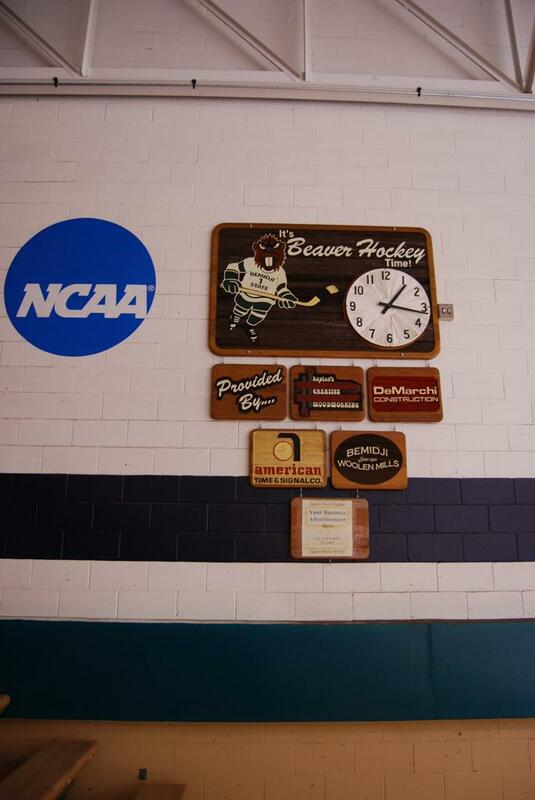 The Beavers have competed for a National title six times on its home ice, bringing home an NAIA Championship in 1971 and four NCAA Division II Championships in 1984, 1986, 1993 and 1997. In 2008 Governor Tim Pawlenty passed a budget bill as initially introduced in the state's 85th Legislative Session for 2007-2008 that Pawlenty decided to use his line-item veto authority rather than taking down an entire $925 million bonding bill. Pawlenty let $717 million worth of projects stand, including funding for four ice arena construction projects and facility repairs are included in the bonding bill that Governor Pawlenty signed on April 9 in Brown Hall auditorium at the SCSU campus. The four beneficiaries of this bill include: Renovation and improvement of the National Hockey Center in St. Cloud, University of Minnesota Duluth and Crookston to receive new home ice rink(s), and a new modern sized D1 rink to be constructed for Bemidji State University. Governor Tim Pawlenty was given the nickname -in Minnesota hockey circles- as the "Rinks Governor" for his efforts to these communities that will long surpass his tenure as Governor. When the construction was completed the Beaver ice hockey teams moved into the newly constructed Bemidji Regional Events Center on October 15, 2010. The John Glas Fieldhouse name didn't carry over to the new arena - but one thing will remain, is the memories and winning tradition that have been compiled over the years in this now vintage old arena.